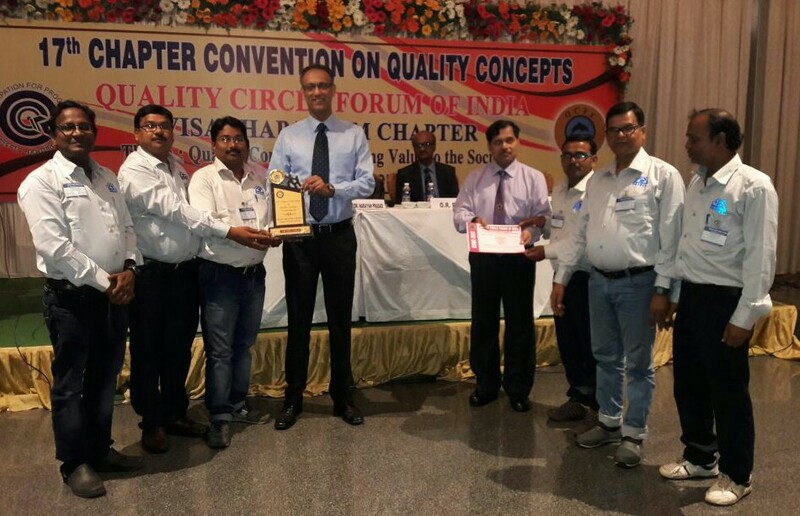 Bhubaneswar: Making the company proud, two teams of Kalinga Nagar based Neelachal Ispat Nigam Limited (NINL) won gold awards at Vizag Chapter of the Quality Circle Forum of India, joining the company’s five other teams who won gold awards earlier at various chapter conventions. Earlier, two teams each won Gold in Bhilai and Rourkela Chapters respectively whereas one team each won Gold and Silver respectively in Durgapur Chapter. 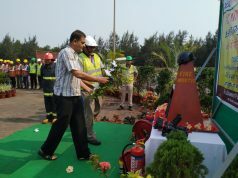 Shri S.S. Mohanty, Vice-Chairman & Managing Director-NINL, congratulated the teams for their excellence and further advised to achieve new heights by applying creativity at the work place. Teams of leading industrial houses participate in various chapters of the Quality Circle Forum of India and present case studies on innovative skill that was applied at their respective industries. After winning gold, the seven teams of NINL will further participate in the National Convention. The teams coming out with par excellence award at National Convention will further participate at International Convention.